Our personal favourite Rocambole, Russian Red has a robust hearty flavour. It tastes very strong when eaten raw. When cooked, it mellows a bit but has a very full bodied taste. 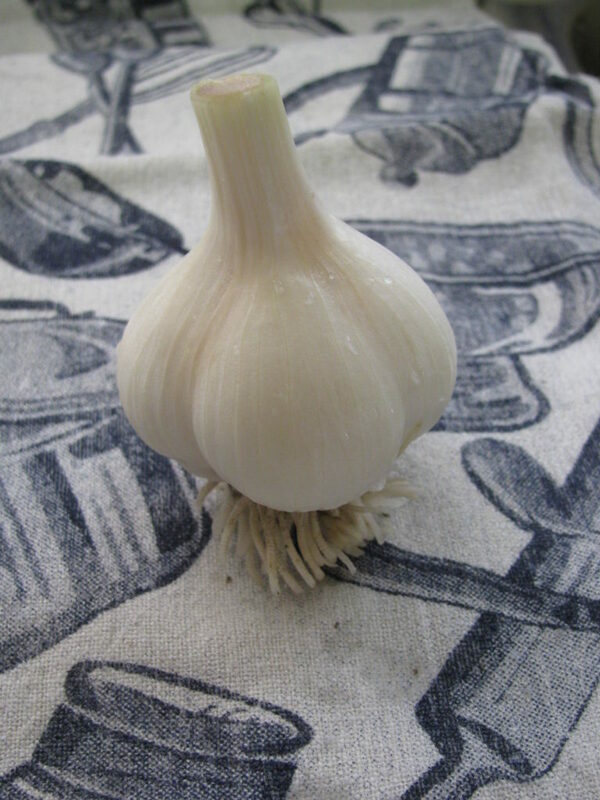 A hardy garlic that enjoys the winter in Canada. 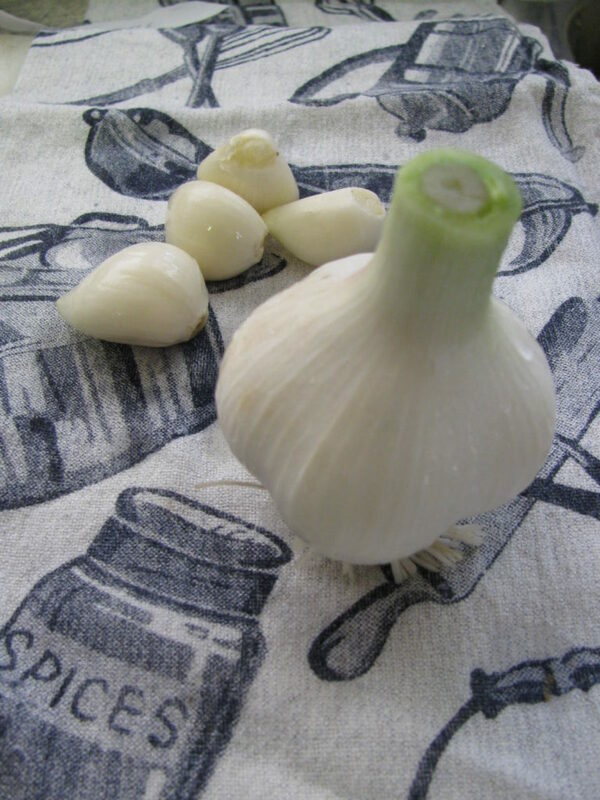 There are usually 5 or 6 cloves per bulb. 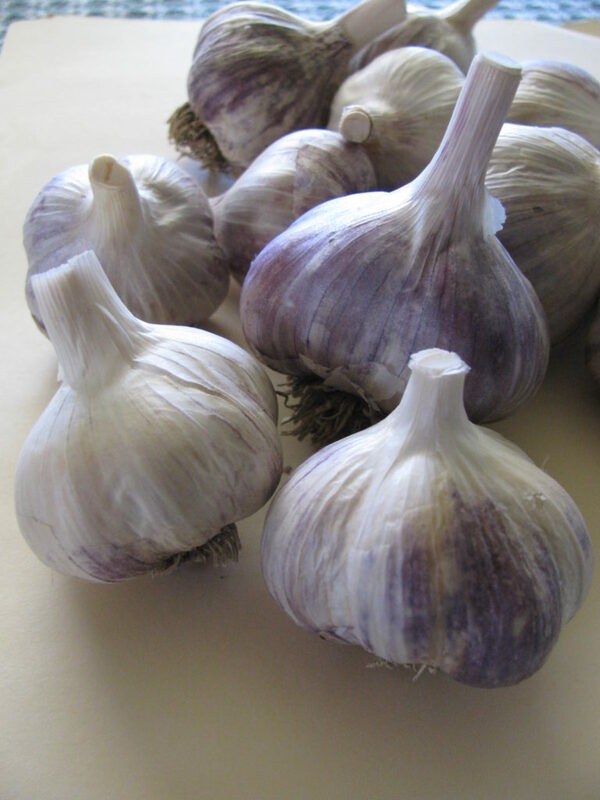 Yugoslavian Porcelain is a great choice for Canadian garlic growers, as it is very tolerant of the cold. 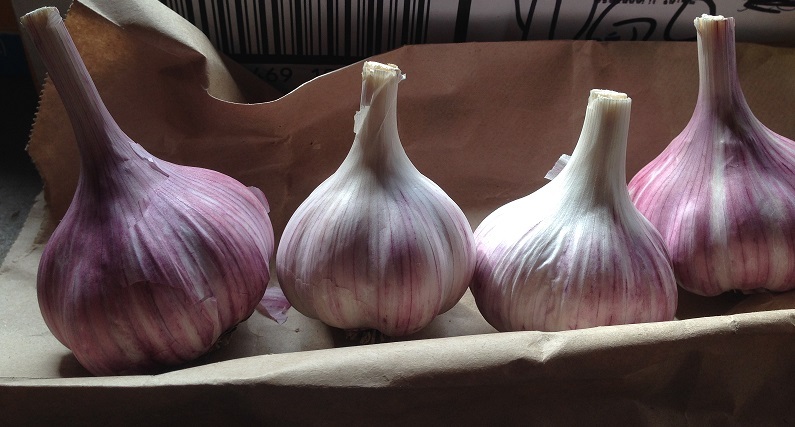 This garlic has a fairly robust flavour . The cloves are large, with usually four or five cloves per bulb. It is ready for harvest sometime around late July. Music has beautiful white outer wrappers, with purple inner wrappers. Another hardy variety, great for Canadian gardens. An average of 3 to 6 cloves per head. We are still increasing our number for this variety so a limited amount will be sold in 2018. We will ship our Garlic anywhere in Canada. At this time, we are unable to ship to the US but hope to in the future. We ship by Parcel Post through Canada Post. Since the cost is determined by volume, please let us know how much garlic you would like and we will calculate a shipping cost and advise before placing your order. Use this to your advantage and order the maximum number of bulbs. Bulbs will be shipped starting late August. – What kind and how many of each type. Feel free to mix and match the varieties, if you like. – Your complete mailing address.